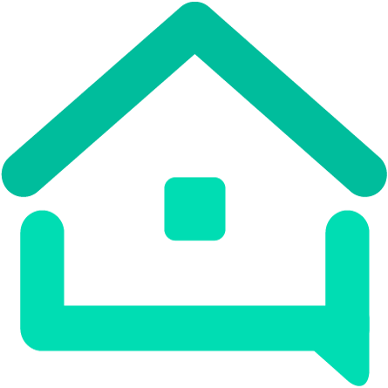 New host, need more bookings - We are your AirBnB hosts forum! What else can i do to get more bookings? My listing has been ups since april 1st and already 297 people have looked at it but i have only gotten 5 bookings. Ive lowered my price to reflect the speing off season, i put captions under every photo. I have an instagram and facebook site for a larger audience. Anything i am missing? Or is it just not going to book as well because its the off season right now? Thanks! Five bookings in two weeks is not necessarily bad going. I wouldn’t rush to discount. Charge in line with comparable properties. 5 bookings in 2 weeks? That’s great! Very often it takes a week or two for people to get the first booking, since a lot of guests are hesitant to book a place without reviews, but once you get a few reviews you’ll be in much better shape. Try to limit the maximum days per stay to begin with, so you can build up a lot of reviews early on. My two-bedroom Airbnb is in a semi-remote California mountain community, but with many nearby wineries, fine restaurants and other attractions. Since I started renting last June, I have had only 17 bookings through Airbnb (mostly for guests attending the local summer concerts). To help promote my guestrooms, I bought ads in regional big-city newspapers in October and full-color rack cards that are displayed in local gift shops and wine tasting rooms. Last month, I also listed my guestrooms on Booking.com, FlipKey and TravelAdvisor. I quickly gained four new bookings through Booking.com in the past few weeks. My last Airbnb reservation was made in February. That’s a very nice looking town house. Since you are starting in your off season I agree that 5 bookings in two weeks is fine. Once the snow clears off get some new pictures outside on sunny day to show that it’s a great place for summer fun. Don’t overdo it on the discounting. We are in near universal agreement that it’s not likely to have any effect other than to attract a budget traveler who might not be the best guest. Since your place is designed to appeal to families get ready to deal with kid damage. I also agree with gardenfairy to not take long bookings at first so you can get reviews quickly. I quickly gained four new bookings through Booking.com in the past few weeks. My last Airbnb reservation was made in February. It makes perfect sense that the more booking.com bookings you have, the fewer Airbnb bookings you’ll get. You may actually be hurting your air listing by doing this. @kzim2182 – the Airbnb Short Term Rental business is NOT a get rich quick scheme as you seem to imagine. There are hundreds of thousands of people everyday looking at millions of Air listings around the world as well as your little corner of things. April is barely half over and you’ve gotten two listings in the shoulder season between winter & summer??? That’s freaking fabulous! You have absolutely NOTHING to complain about! Now you have to actually meet and greet and host those two parties – and do it RIGHT so that they will leave you good reviews (and have a good time at your place). Worry more about that than how many bookings you’re getting. Not all of your listing photos have a description. You can use these spots to fill in extra info about yourself, the house, your community etc. They don’t necessarily have to be related to the photo. Guests read this more than the listing description sometimes. Having owned a second home near the Ellicottville - Holiday Valley area for over 30 years I am very familiar with that area. My advice would be to raise your prices. You are not going to get a lot of interest this time of year and the fact that you already have 5 bookings is fantastic. Your chalet is lovely and sleeps a lot of people. At your nightly rate, with no additional charges for extra people, you are going to end up with students from all over the area looking for a cheap place to hold a weekend party. I am guessing you are far enough away that you’re not checking guests in personally and you are inviting trouble at this price point. I think your cover picture is perfect. This forum advised me to change my cover picture from my kitchen to something else and almost every guest I get says they booked because of my cover picture. Thank you for the great advice and kind words. I am about an hour away from ellicottville so i definitely do not want any trouble people at this early in my airbnb hosting. I aplreciate it. I am also a seasonal (beach) destination. Off season can be discouraging but don’t lower your rates just to get more bookings. There will be more than you can handle when fall arrives in that gorgeous area. And low rates always come with a price to the host. This will tip you off if people are partying/bringing in extra guests. I agree about the photo of your home page. I don’t use one of my bedroom as my front page photo either. I use the photo that best shows my lovely living room/dining room/kitchen space as it is the best room in my home and is an advantage over other homeshare hosts in my area who don’t offer access to these facilities. Dining room and kitchen are super pretty. Bedroom should be main pic though. The bedding in master seems very washed out/ dated. I would replace that with some color. Beds sell listings! In your living room, it doesn’t seem like you have a large enough coffee table. The rest looks gorgeous and inviting. It’s the slow season now but I have a feeling you will be totally booked during ski season. Best wishes.